The best innovations happen at the fringe where new technologies and business models are constantly competing with the old ones. The Austrian economist, Joseph Schumpeter, coined the term "creative destruction" to describe this process of churning. He believed that it is this fundamental impulse of creative destruction that sets and keeps the capitalist engine in motion. In the wake of changing consumer preferences, new methods of production or transportation are invented, and new markets come into existence. I am a German Chancellor Fellow of the Alexander von Humboldt Foundation studying urban food systems in transition. And in order to learn more about the process of creative destruction in the food sector, I was in conversation with Mr Stephan Becker-Sonnenschein, Head and Founder of the Global Food Summit that is going to take place in Munich on 20-21 March 2019. In our discussion at a quaint café in Central Berlin, we conversed about the transitioning food sector across its length and breadth. Below are some excerpts from our conversation, which left me excited about the sustainable future of our food system. There are plenty of innovations taking place in the food sector and Mr Becker-Sonnenschein believes that this is really an exciting time. "Over the past 10,000 years, Homo Sapiens domesticated nature and made rural, land-based agriculture possible. In the next 100 years, or maybe earlier, disruptive technological developments will enable urban food production, where we shall have plants growing without soil and meat being harvested without animals. Vertical and indoor farming, urban protein production from algae and meat stem cells - these are some of the buzz words that are going to dominate discussions on food in the coming years." And some of these trends are already visible in different parts of the world where innovation in food is happening by either climate-driven necessity or changing consumer preferences. Companies like Pure Harvest and Crop One are building huge vertical farms in the Arabian Gulf region. ECF Farmsystems in Berlin is the leader in building and operating commercially viable aquaponic farms in Europe, capable of growing fishes and herbs on rooftops. On the other hand, Infarm, also in Berlin, is growing fresh herbs inside cabinets in supermarkets, so the consumers can directly harvest what they need themselves. And ventures like Beyond Meat and Bug Foundation are already making burger patties and other meat products from plant substitutes and insects. Will all the food really be grown in the cities? The UN predicts that by 2050 up to 70% of the world's population will live in cities. Therefore, it is logical that our centres of food production be located as close as possible to consumption. It seems intuitively more sustainable than the current logistical structure of the food system. But the natural question is - is it really possible to grow all the food on rooftops and empty basements in cities? There will definitely be some successful cases where urban food production will be substantial. In Singapore, for example, 13% of the vegetables and 10% of fish already come from urban farming, and policy and academia are geared towards promoting this trend further. Similarly, several projects are also trying to rethink the fundamental concept of the city and integrating food production areas in city planning. Pilots are already in the works at the Flevo campus in Amsterdam, the Sunqiao Urban Agricultural District in China and the futuristic Neom city in Saudi Arabia. However, Mr Becker-Sonnenschein also adds, "If these new technologies that are currently called as urban farming are to scale up, they cannot be restricted to cities alone. The urban farmers are able to grow 6 times the amount of produce as compared to land-based farmers in the countryside through high productivity and vertical farming. As these urban farmers start catering to more and more demand, they will start moving to the peri-urban areas where the real estate costs are much lower. So, with their 6X production, their business model will get an even better valuation as compared to conventional land-based peri-urban farmers. And in this way, we will see these urban farming ventures going to the outskirts of the city, but with more production per square metre. And at the same time, the modern technologies in trade and retail will bring efficiency in the supply chain. So, what we will have is a future with strong regional food systems around megacities." While the futuristic vision of an urban food system seems promising, the current ground reality is very different. A common problem across entrepreneurship in these futuristic food production technologies is the high cost of production. Consumers are currently not willing to spend that extra money. This is visible across technologies in crop production like hydroponics and aquaponics, or in meat production from insects and plant substitutes - all of them are currently more expensive in comparison to the conventional methods. For example, a pot of basil from ECF Farmsystems, which is available in many supermarkets in Berlin, is priced almost a Euro higher than its competitor. Similarly, the beef burger from Future Meat Technologies, where the beef was produced from stem-cell breeding, costs about 9 Euros; considerably more than a standard beef burger at McDonald's. How will this change in the future and what can we expect during the transition? Mr Becker-Sonnenschein says, "Marketing always works in this way. First, you have a new product that is priced much higher than what is conventionally available. Only the early adopters, who believe in the idea, will buy it. But over time, sales will start increasing steadily. And at some point, the investors will get attracted to the idea and invest in the business model. This is when the venture will be able to decrease its prices by streamlining operations and reducing costs through scale. And at the same time, demand will increase as more and more people will begin to buy into the idea of the new product." "So, you will see a role reversal. Produce that is considered conventional today will gradually be replaced by the new and the better as it slowly becomes price competitive. And then this will become the new conventional. At the same time, the producers of the conventional product will also undergo a transformation. They will realign their business to cater to the premium category. So, what was once premium has now become mainstream, and what was mainstream is now premium. However, in this process, the food available to the end consumer will see an overall improvement in quality and sustainability." Speaking of investments, it seems that Mr Becker-Sonnenschein is right. There is plenty of interest from city governments and private investors alike in providing capital and opportunity for new food technologies to get established. Apart from city-level projects such as the ones mentioned above, CrunchBase lists that roughly 12,000 start-ups in the food and beverage sector have received funding. Over and above these, 2,700 are listed in the food and agriculture sector. Similarly, a report shows that the number of food and beverage investors have tripled from 128 (2013) to 459 (2017). In total, more than two billion dollars have been spent on food innovation. But amidst these promising ideas of a technologically enabled urban food system, there are also proponents of organic food who believe that more technology in farming will eventually only lead to more problems. There is currently a strong dichotomy about the right way forward but Mr Becker-Sonnenschein argues that this will vanish at some point. The ideas of organic farming and high-tech farming will converge. Farming technologies like hydroponics, aquaponics and aeroponics produce clean, fresh and local food. These methods are already certified "bio" according to the US Department of Agriculture (USDA) regulations as of 2017. Moreover, these systems do not require a 3-year transition period in contrast to organic products from the field. This translates to a huge cost-saving potential for farmers and should encourage them to shift to these modern methods of cultivation. In the future, there will be a choice between food grown indoors and food grown outdoors, but in any case, both of them will come under the same umbrella of "organic". All of the above, however, are supply-side discussions about the problems of the food sector. On the demand-side, there is the debate of global vs. local. Should we, as responsible individuals, choose local food over global food? Should we eat only what is seasonally available through local farms? And should preference for local food become a policy? Mr Becker-Sonnenschein puts a word of caution to this thought. "Food is, perhaps, the ultimate expression of freedom of choice for an individual. I think if governments or anyone else starts dictating food choices, there will be protests. Plurality of food is fundamental. People should have the right to decide what they want based on a well-informed decision. And it should be the responsibility of civic movements, governments and food policy councils to inform people what is good for them through scientific evidence. Eventually market forces are the best deciders of how much local and how much global produce should be present on the shelves of supermarkets." In any case, it seems to me that technologies like climate controlled indoor farming can create suitable climates locally for global food crops. In this manner, they really hold the potential to be the real "glocal" solution. Saahil Parekh is a researcher and entrepreneur in food systems from India. 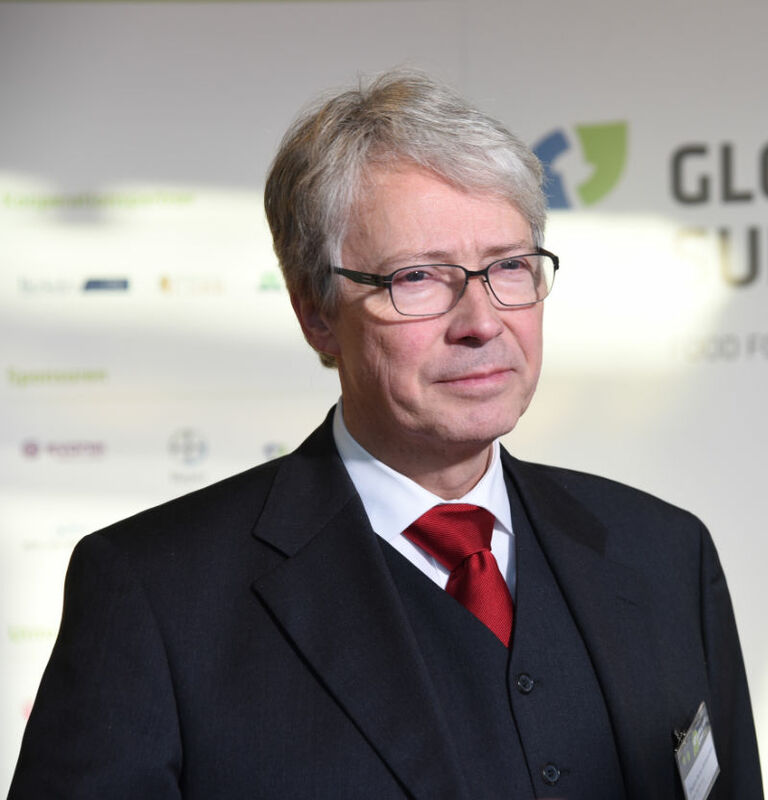 He is currently based in Berlin as a German Chancellor Fellow of the Alexander von Humboldt Foundation, where he is studying urban food systems. Details about his project are available on www.urbanfoodsystems.net.